Above, Woodchester Mansion near Stroud, Gloucestershire an amazing - but unfinished - Victorian gothick masterpiece, arguably the most important heritage building in the Cotswolds. The present, incomplete Mansion at Woodchester Park was commissioned by William Leigh. His architect was Charles Francis Hansom of Bristol, brother of the designer of the hansom cab. By 1859 most of the drawings were being produced by Hansom's assistant Benjamin Bucknall, who was local to the Stroud area. Bucknall was very young for the responsibility of such a large scheme, being only 21 when he began. The exact date for the start of building is uncertain, but by 1858 the clock tower had been completed, and by 1866 the main building had been roofed. In its heyday there were over 100 people of varying trades working on the site. William Leigh died in 1873 and work more-or-less stopped, perhaps because the estate was now considered too small to support the original Mansion and funds for total rebuilding were too scarce. The only work of any significance to be carried out after Leigh's death was the completion of the Drawing Room for a visit by Cardinal Vaughan in 1894. The estate remained in the Leigh family until 1938. Eventually, Stroud District Council bought the Mansion, now classified as a Grade I listed building, to save it from ruin. (English Heritage provided 75% of the £20,000 cost). Emergency repairs costing £30,000 were carried out, again aided by English Heritage. But heritage and conservation organisations considered the Mansion too expensive a project to undertake. 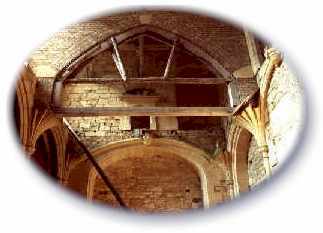 In 1988 the Woodchester Mansion Conservation Group was set up by local people, becoming a Charitable Trust in 1989. 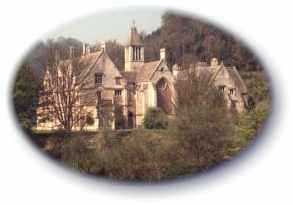 In 1992, as The Woodchester Mansion Trust, the new body signed a 99-year lease on the Mansion and 23 acres of pasture. The Trust is repairing the house, preserving it in its unfinished state with regular public access, and provides training in stonemasonry, conservation and architecture, with courses for students and the general public.